Dana Incorporated offers Spicer® Dura-Tune™center bearing, which is immediately available on standard Spicer SPL® driveshafts and heavy-duty Spicer 10 Series®driveshafts. 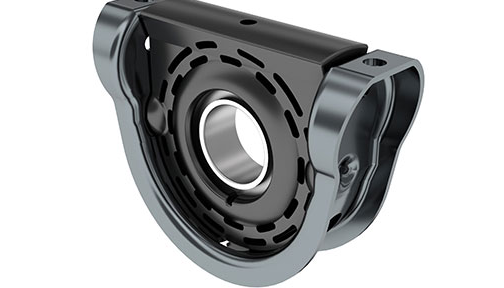 The new center bearing is engineered for durability and tuned to provide industry-leading powertrain vibration isolation and dampening for reduced driver fatigue and improved vehicle satisfaction. The unveiling was one of several new product launches made here at the 2019 Technology & Maintenance Council (TMC) Annual Meeting & Transportation Technology Exhibition. The universal design of the Dura-Tune allows for the replacement of current standard SPL and heavy-duty Spicer 10 Series center bearing assemblies – as well as competitive products – and is available for retrofitting or as a replacement part through Dana’s aftermarket business.